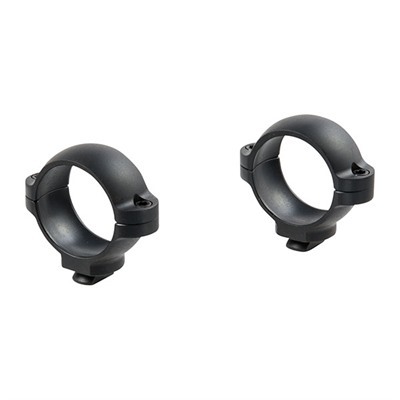 These rings fit the popular "twist-and-lock" bases by Burris, Leupold, and Millett. The ring has a dovetail that fits in the slot in the base, then must be turned 90deg to lock it in. One of the strongest scope mounting systems ever devised, these rings will not shoot off their bases, even on the hardest-kicking, large caliber magnum rifles. Mfg: Burris Measurements are from the bottom of the scope tube to the bottom of the ring: Med .270", High .390"